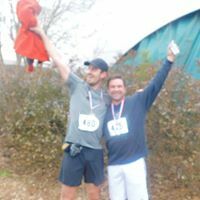 Enjoy the marathon and half marathon entirely within Callaway Gardens on one of the most beautiful courses that you'll ever run! 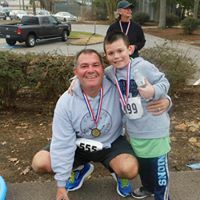 Pass the Day Butterfly Center, Callaway Discovery Center, the Ida Cason Memorial Chapel, the Callaway Brothers Azalea Bowl and enjoy the gentle rolling hills. If you've never run at Callaway Gardens you've got a real treat coming to you! 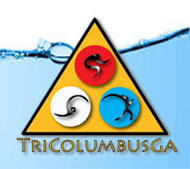 Contact us at tricolumbusga@gmail.com for any questions. 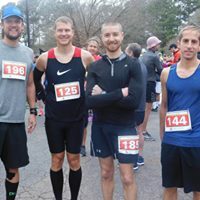 Detailed race information will be sent out via email the week of the race and will be posted on the Facebook TriColumbusGa page. 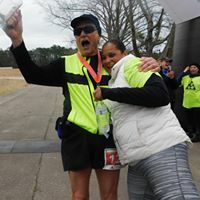 We are excited to have you join us on January 26 for the first race of the Race Series at Callaway Resort & Gardens - Marathon, Half Marathon, and 5k. Below you will find some important information about our race weekend. START TIME: Marathon & Half- Marathon at approximately 8:00AM. The cut off for the Marathon/Half is 8 hours. 5k will start at approximately 8:15. PACKET PICK UP: Packet pick up will take place at the Robin Lake Beach Pavillion through the entrance on Hwy 27. Saturday (race morning) from 6:30am-7:45am. 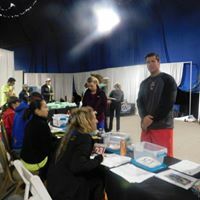 LATE REGISTRATION: Athletes can register for late registration at either packet pick up. The cost is $85. ENTRY: Please bring your race confirmation email for free entry into the gardens. Spectators just need to be accompanied by their racer. 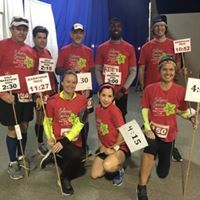 RACE BIBS: Bibs must be worn on the front of your body and remain unfolded for proper timing and be visible at the finish. The Marathon is 2 loops of the half course. The 5k loops around Robin Lake Beach. There will be lead and sag cyclists for each race and pacers for the marathon/half marathon in 15 min increments. 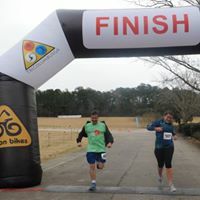 AID STATIONS: There will be 6-7 aid stations along the half course approx 1.5-2 miles apart (marathon will pass by 2x). Portapotties, Cerasport, water, gels, pickle juice, coke, pretzels/chips, etc will be available. AWARDS: Awards to top 3 finishers in the 5k, Half Marathon, and Marathon. 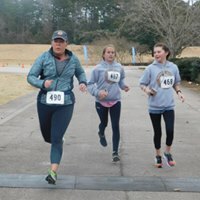 Age group awards 3 deep for 5k, Half Marathon, and Marathon. Age groups by 10 years 3 deep (19 and under, 20-29, 30-39, 40-49, etc) - Finisher medals for all participants, for all races. Awards for the 5k will be at approximately 9:30am, Half Marathon at approx 11am, and the Marathon at approx 12:30/1pm. Awards times are subject to change based on average finish times. DIRECTIONS: From Atlanta take I-85 south to I-185. Take I-185 south to exit 42 (Hwy 27). Go left on Hwy 27 to Pine Mountain. Go one mile past Pine Mountain on Hwy 27 to Callaway Gardens beach entrance on your right. The Mountain Creek Inn is one mile past the beach entrance on Hwy 27 on your left. 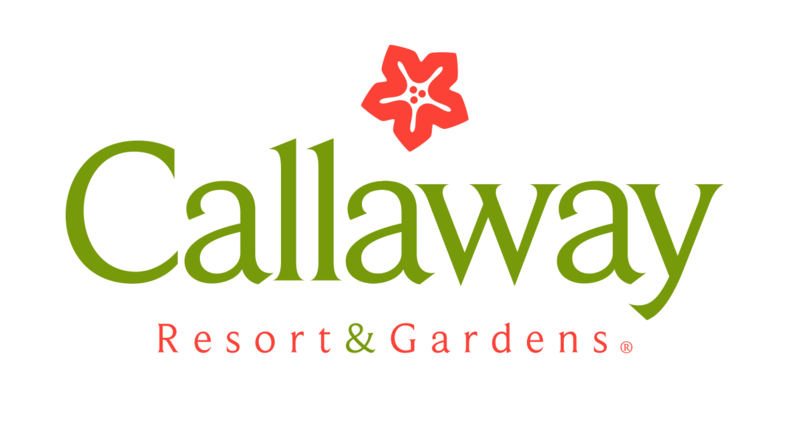 On behalf of TriColumbusGA and Callaway Resort & Gardens I look forward to welcoming you!